The Sky-Trax System is designed to track the movement of vehicles, such as fork lifts, inside factories and warehouses. Sky-Trax automatically determines vehicle position with great accuracy and provides real-time position data to the driver. It can record precise location data for the movement of goods within a bulk storage area and guide the driver to the next pick-up or put-away spot. The Sky-Trax system captures and displays the location of all vehicles, aiding managers, warehouse operators and/or computer systems such as WMS (warehouse management systems) or ERP (enterprise resource planning systems). Move your mouse over text box to display part. Sky-Trax works like a GPS, but unlike GPS, it works reliably indoors. Sky-Trax technology is based on optical components instead of radio wave technology so the system is immune to radio interference and not affected by building construction materials or contents. The optical sensor is aimed at the ceiling and captures digital images of overhead position markers. Machine vision software decodes the image to recognize location and calculates the orientation angle and exact position of the vehicle. A wireless link transmits the data to the STS Controller which collects location data from all OPS sensors. The Controller stores data in a standard database and makes it available in real-time for high value applications. STS provides the capability of GPS and more. Rotational orientation, inch-accurate location, direction of travel, and velocity are available. And of course, STS works indoors where GPS is unreliable. Sky-Trax System™ (STS) determines location in one, two, or three dimensions with accuracy necessary for almost any application. While one-foot accuracy may be adequate for vehicle tracking, single inch accuracy may be required to locate small objects. STS determines position, orientation, direction of travel, and velocity. Even small movements are detected. These unique capabilities present new application opportunities and form a new vision of advanced supply chain operations. By knowing, the precise location of assets in real-time, material can be monitored and managed with new exactness. Sky-Trax Forklift Truck Safety System accurately monitors forklifts movements to help avoid collisions that could be lethal or cause serious injuries to drivers or pedestrians. The safety system tracks the real-time movement of forklifts and other equipment inside warehouses, and automatically tracks each vehicle's location. Real-time vehicle location data collected by the STS engine can be used to illuminate crosswalk signals, audibly warn pedestrians, or notify drivers of approaching hazards. Lease and capital purchase costs for trucks, accessories, batteries, chargers, etc. What about the cost of mistakes? ?- Inventory errors, missed shipments, inventory write-offs, disruptions, search parties, physical inventories, etc. In today's warehouse environments, operations managers lack the technology to directly attack the causes of low efficiency and low productivity (visibility, minimal accountability, inadequate performance and operational data, and lack of automatic data collection). Low Accountability - Fork truck operations are the last "cowboy" operations in the supply chain. Drivers are on their own for most of the day, out of sight, making spot decisions, and out of direct control. Most of the time managers do not even know where their assets are and what they are doing. To make it worse the manager has little reliable data to understand the productivity issues and to improve resource utilization and productivity, beyond broad metrics, personal observations, and anecdotes. Inadequate Performance Data - Managers cannot manage or improve what they cannot measure. Indoor logistics managers have almost no objective data to use for productivity analysis, driver training and management, fleet utilization, predictive maintenance, or identification of abusive and dangerous practices. Lack of Automatic Data Collection - To be trustworthy and accurate, data needs to be collected automatically without any effort or input required from drivers. Data collected by clipboard or even bar code scanners, is often riddled with errors or not completed at all. To make matters worse, data collection tasks rob drivers of time that could be used to perform the primary job of moving materials. Sky-Trax Inc. develops software solutions designed to address all of the costs associated with low efficiency and low productivity. These costs represent a form of untapped profit that managers can free up for higher revenues, and competitive advantage. Imagine the difference - Having complete real time visibility from any computer to see where each asset is and what it is doing. In addition, complete tracking and reliable audit data of what each truck has done, where it has been, what its utility is, -- all collected automatically and presented in standard Operational Efficiency Reports(OERs) for analysis and optimization of operations. Finally, operations and indoor logistics managers have the data and tools they need to capitalize on the hidden profit within warehouse facilities. Reduce capital expenses by 10% or more by right sizing your fleet and improved management of your assets. Improve productivity or decrease operational costs by 30% or more with real time inch-accurate tracking of assets and materials. With this additional data, the warehouse manager is able to more effectively match inventory needs with inventory assets, which will increase productivity and warehouse profitability. Perhaps the most detrimental warehouse problem is that of keeping and maintaining accurate inventory counts. Too often warehouse managers find that despite elaborate warehouse management systems, it is not unusual for pallets to go missing. Each year, imprecise warehouse inventory issues cost employers hundreds of millions of dollars in lost goods, and a staggering number of man hours associated with locating lost inventory. Inch-accurate Sky-Trax solutions are designed to dramatically improve warehouse inventory accuracy, which results in more profitable warehouse operations. Sky-Trax solutions enable warehouse managers to improve inventory accuracy by removing elements that are some of the leading causes of inaccurate inventory; like damaged floor labels, poor inventory controls, or inconsistent inventory reporting. As a result, Sky-Trax is able to ensure that pallet locations are properly scanned when an inventory action is taken; a pallet is picked or put. Skan-Free uses an Optical Label Reader (OLR). The OLR is affixed to the front of a forklift or other warehouse vehicle to scan pallet or rack ID labels as the pallet is being picked or put away at its designated location. The data is transmitted to the Sky-Box, an onboard data processor, which creates an on-board mobile network allowing all sensors and aftermarket additions to all plug-and-play together for real-time access to complete data collection. 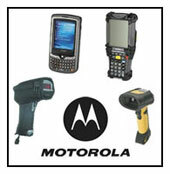 Once data has been collected, it is then wirelessly transmitted back to your WMS. Allow your drivers to just drive, Skan-Free collects all the data automatically. Remove human error in data collection by eliminating hand scanners, clipboards, and data entry terminals. Identify and record who, when and where during data collection. Through the use of Optical Sensing and powered by Sky-Trax technology, Skan-Free is a great alternative to RFID based systems for pallet identification and data collection. The Pallet Detector consists of an emitter, which produces a light beam, and a receiver, which detects the beam. The emitter and receiver are mounted opposite one another on the fork inboard edges, near the fork verticals and backing plate. When the center rib of a pallet interrupts the beam, the receiver signals electronically that a load has been acquired. The emitter and receiver sensors are low power, long-life solid state optical devices, enclosed in rugged stainless steel housings. Protective housings are bolted to equally sturdy mounting plates, which are welded to the fork faces. Slotted bolt holes allow easy adjustment of the housings forward and backward for optimal placement. Sky-Trax’s Pallet Detector PD-1C outputs connect to analog devices such as analog-to-digital converters. The units are fully integrated with Sky-Trax Skan-Free and Total Trax systems, and can be sold as an individual component for custom applications. Units are supplied with connectors and short cable pigtails. The user must provide wiring from the cable pigtails to destination devices. Rapid and reliable sensing of forklift LOAD and NO LOAD conditions for on-board data collection, inventory management, and other automation systems. The Sky-Trax Height Sensor™ HS-1C operates from a 24 VDC supply provided separately and will require no more that 1 Watt from the power source. An optional USB interface module and software can be provided to capture the lift height data on any computer running the MS-Windows XP or Vista operating system. The optional USB user interface can be used for configuring and defining the Height Sensor to all system definable parameters. The configuration interface will permit the user to calibrate the Height Sensor to engineering units of meters or feet and will continuously display the current height of the forks in both engineering units and the discrete rack level associated with the height. The configuration user interface enables the user to establish the height sensor threshold values defining the application rack levels.